Recently, I was lucky enough to receive a big haul of retro computer gear from a friend who was emptying out his garage. Even better, the haul was almost entirely old Amiga gear — my favorite computing platform of all time. Upon returning home, I gleefully sorted through the boxes, powering things up one by one. Amazingly, everything worked… except for one lonely Amiga 500+. I was greeted by a dull grey screen. This wouldn’t do, so naturally, I got to work. It seemed like a shame to be opening the machine, as after almost 30 years of life, this one still had its warranty seal intact. Regardless, nothing ventured, nothing gained – the Torx bits were at hand and the screws were coming out. One of the challenges of keeping a vintage computer up and running is the limited availability of spare parts. While not everything has hit dire levels of availability (not yet, anyway), it goes without saying that getting a replacement part for a 30+ year old computer is a bit harder than hitting up the local electronics store. So the ability to rebuild original hardware with modern components is an excellent skill to cultivate for anyone looking to keep these pieces of computing history alive in the 21st century. This is in ample evidence over at [Inkoo Vintage Computing], where repairs and upgrades to vintage computers are performed with a nearly religious veneration. 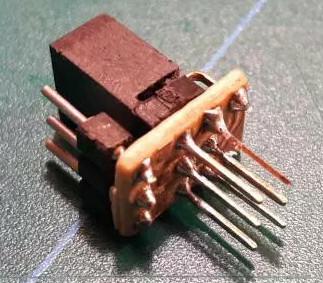 Case in point: this detailed blog post about rebuilding a dead Amiga 500 power supply. After receiving the machine as a donation, it was decided to attempt to diagnose and repair the PSU rather than replace it with a newly manufactured one; as much for the challenge as keeping the contemporary hardware in working order. What was found upon opening the PSU probably won’t come as a huge surprise to the average Hackaday reader: bad electrolytic capacitors. But these things weren’t just bulged, a few had blown and splattered electrolyte all over the PCB. After removing the bad caps, the board was thoroughly inspected and cleaned with isopropyl alcohol. [Inkoo Vintage Computing] explains that there’s some variations in capacitor values between different revisions of the Amiga PSU, so it’s best to match what your own hardware had rather than just trying to look it up online. These capacitors in particular were so old and badly damaged that even reading the values off of them was tricky, but in the end, matching parts were ordered and installed. A new fuse was put in, and upon powering up the recapped PSU, the voltages at the connector were checked to be within spec before being plugged into the Amiga itself. 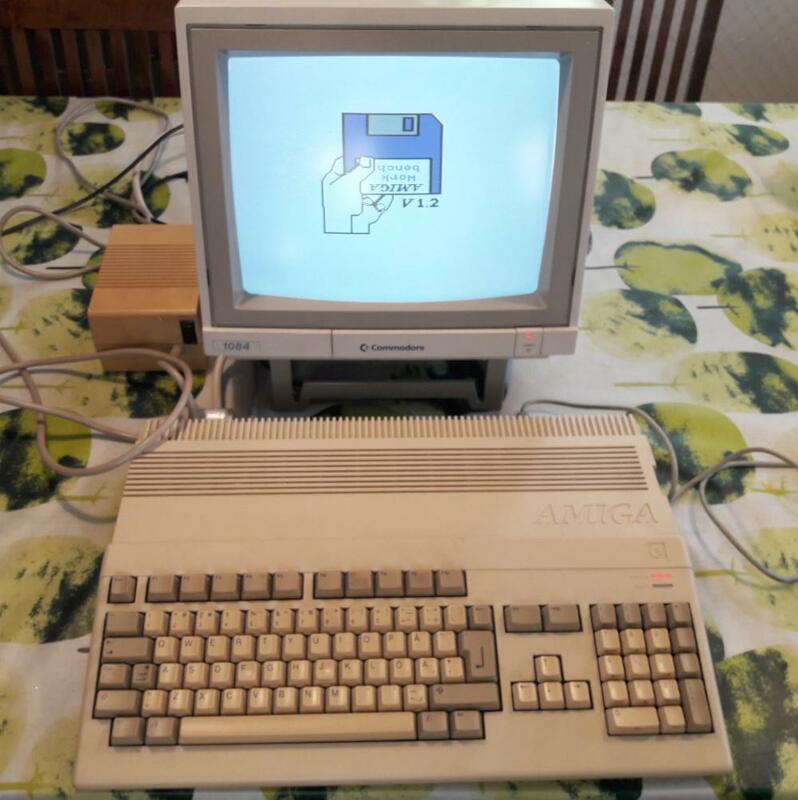 As a test, the Amiga 500 was loaded up with some demos to really get the system load up. After an hour, the PSU’s transformer was up to 78°C and the capacitors topped out at 60°C. As these parts are rated for 100°C (up from 85°C for the original parts), everything seemed to be within tolerances and the PSU was deemed safe for extended use. This sort of repair isn’t exactly rare with hardware this old, and we’ve seen similar work done on a vintage Apple power supply in the past. If you’re less concerned with historical accuracy, [Inkoo Vintage Computing] has also shown off adapting an ATX PSU for use with the Amiga. There was a period in the late 1980s when the home computer to own did not come with an Apple logo and was not an IBM, Compaq, or any of the other clones, but instead sported a Commodore logo. The Amiga 500 was an all-in-one console-style cased machine that maybe wasn’t quite the computing powerhouse you might have wished it to be, but gave you enough of the capabilities of the more accomplished 16-bit machines of the day to be an object of desire while also having a games catalogue second to none. A500s have survived in reasonable numbers, but inevitably working A500s haven’t. Fortunately there are decent emulators, and it was for one of these that [intric8] has produced an extremely well-done installation of a Raspberry Pi 3 in an Amiga case. The intention has been throughout to avoid modification or damage to the Amiga case, and eventually to have all Amiga internal peripherals including the floppy drive in a fully working condition. The result has a Tynemouth Software USB adaptor for the Amiga keyboard, and a set of nicely designed 3D printed backplates to bring the extended Raspberry Pi ports to the back of the case. The floppy isn’t yet interfaced and there isn’t a socket for the quadrature mouse, but otherwise it’s a very tidy build. He might be interested in one of the several USB to quadrature interfaces we’ve featured over the years. You might ask why so much effort should be put in for an emulation of an A500, and in a sense you’d be right to do so. The Pi will run the emulator from any case or none. But if you happen to have a spare A500 case, why not give this one a go! Just because something is “never used” doesn’t mean it’s good. [Inkoo Vintage Computing] learned that lesson while trying to repair an Amiga 500 and finding parts online that were claimed to be “new” in that they were old stock that had never been used. The problem was that in the last 30 years the capacitors had dried out, rendering these parts essentially worthless. The solution, though, was to adapt a modern PSU for use on the old equipment. The first hurdle to getting this machine running again was finding the connector for the power supply. The parts seemed to have vanished, with some people making their own from scratch. But after considering the problem for a minute longer they realized that another Commodore machine used the same parts, and were able to source a proper cable. Many more parts had to be sourced to get the power supply operational, but these were not as hard to come across. After some dedicated work with the soldering iron, the power supply was put to use running the old Amiga. Asture readers will know that [Inkoo Vintage Computing] aren’t strangers to the Amiga. 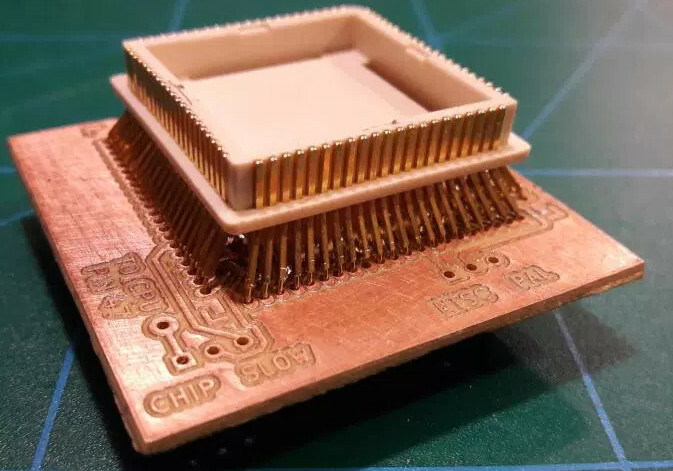 They recently were featured with a nondestructive memory module hack that suffered from the same parts sourcing issues that this modification had, but also came out wonderfully in the end. If you were lucky enough to have a Commodore Amiga or one of its competitor 16-bit home computers around the end of the 1980s, it’s probable that you were doing all the computing tasks that most other people discovered a few years later when they bought their first 486 or Pentium. So in the mid 1990s when all your friends were exclaiming at Paint Shop Pro or their Soundblaster cards you’d have had an air of smugness. Multitasking? Old hat! Digital audio? Been there! Graphics manipulation? Done that! There was one task from that era you almost certainly wouldn’t have done on your Amiga though, and that was connect it to the Internet. The Internet was certainly a thing back in the late 1980s, but for mere mortals it was one of those unattainable marvels, like a supercomputer with a padded seat round it, or a Jaguar XJ220 supercar. Later Amigas received Internet abilities, and Amiga enthusiasts will no doubt be on hand to extol their virtues. But the machine most people will think of as the archetype, the Amiga 500, lacks the power to run most of the software required to do it. If your 500 with its tasteful blue and orange desktop colour scheme is languishing though, never fear. [Shot97] has produced a guide to getting it online. It’s important to understand that an Amiga 500 is never going to run a copy of Chrome or play a YouTube video. And he makes the point that any web browsers that might have surfaced for hardware of this class delivered a painful browsing experience. So instead he concentrates on getting the 500 online for something closer to the online scene of the day, connecting to BBSs. To that end he takes us through setting up a PC with Hayes modem emulator, and connecting it to the Amiga via a null modem cable. On the Amiga is a copy of the A-Talk terminal emulator, and as far as the Amiga is concerned it is on a dial-up Internet connection. The PC in this case looks pretty ancient, and we can’t help wondering whether a Raspberry Pi or even an ESP8266 module could be put in its place given the appropriate software. But he has undeniably got his A500 online, and shown a way that you can too if you still have one lurking in the cupboard. He has also produced a video which we’ve put below the break, but be warned, as it’s nearly an hour long.